O'Donnellan and Joyce is offering for sale a beautiful detached five bedroom residence located in the well-established residential area of Gortacleva, Bushypark, Galway. 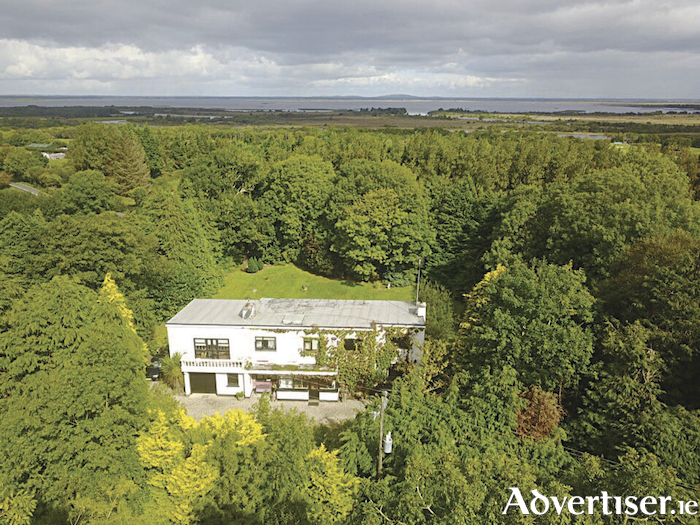 This large private home, which is just 288 metres past the five-star Glenlo Abbey Hotel and golf course, is nestled along a quiet road c35 metres back off the N59 main Galway to Moycullen road. The Glens is on a large mature site measuring approximately one acre, containing space in abundance with mature lawns, shrubbery and elegant planting throughout. The property is surrounded with a mature tree lined boundary containing a variety of trees that provide excellent shelter and privacy. The Glens, Gortacleva, was built in the mid 1970s and the residence measures approximately 2,800 square feet. The property enjoys great natural light and is in excellent repair. There is an opportunity to redevelop the existing residence or investigate the possibility of building two residences due to the size of the site and the added bonus of two entrances, one from the main road and one from the Gortacleva side road. The accommodation comprises a large light filled entrance porch leading into the entrance hallway, a living room with feature solid fuel fireplace, a separate dining room and a study or TV room with a second open fireplace. The heart of the home the kitchen and breakfast room is open plan in style with solid wood kitchen units. A downstairs toilet, cloakroom and access to the garage entrance completes the accommodation on the ground floor. Upstairs the accommodation features a large sun room or second living room which overlooks the front and rear gardens, and has a feature gas fireplace and access to a private balcony overlooking the front garden. This room is accessed by stairway just off the kitchen. Also located on the first floor is the main family bathroom and five wonderful bedrooms, four which offer en suite bathrooms. The mature site of one acre boasts a large variety of trees and shrubs, including palm, oak and ash trees. The private entrance and tree lined boundary offer a tranquil and private residence with sweeping lawns, and elegant planting. There is also access to large garage internally from the house and via the double garage doors from the front garden. With all the attractions and amenities of the area within easy reach, the property is ideally located within two miles of Galway city centre, NUIG and UCHG. Viewing is strictly by appointment and is guaranteed not to disappoint.